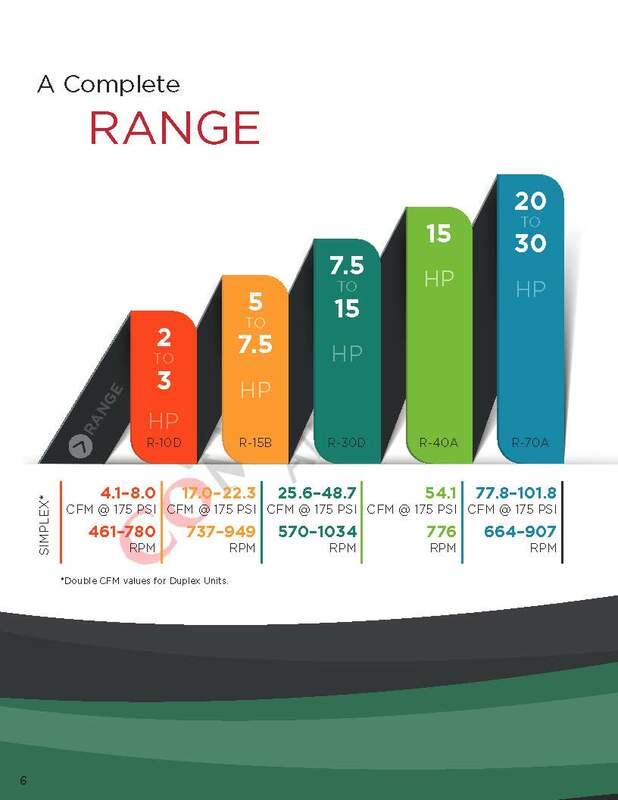 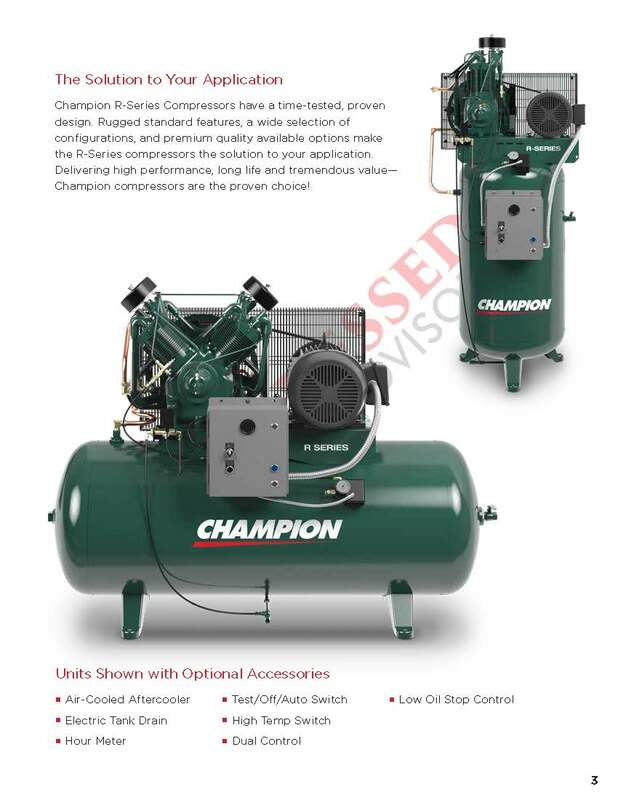 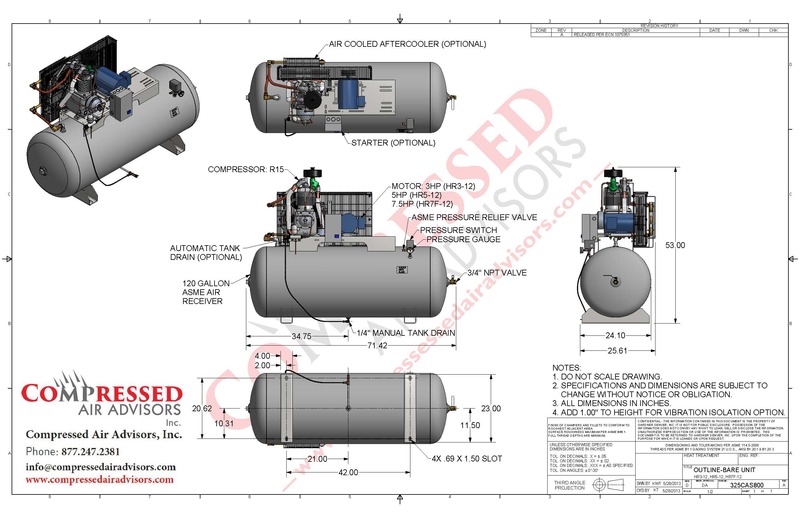 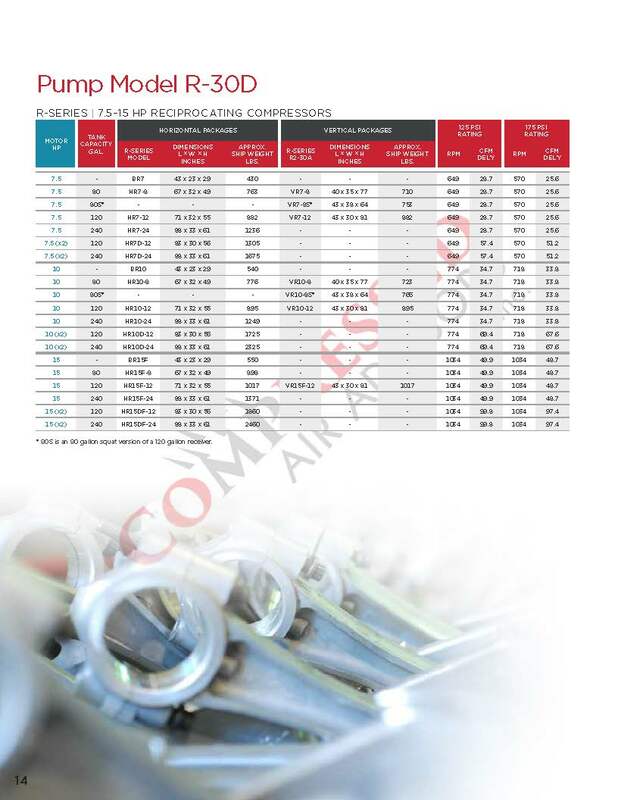 Champion compressors are proven units, known for their reliability over decades of use. 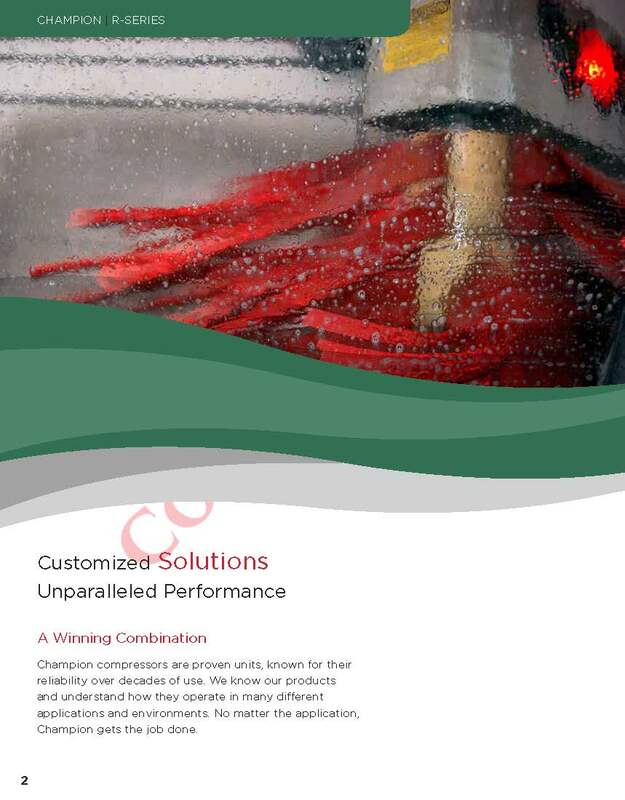 We know our products and understand how they operate in many different applications and environments. 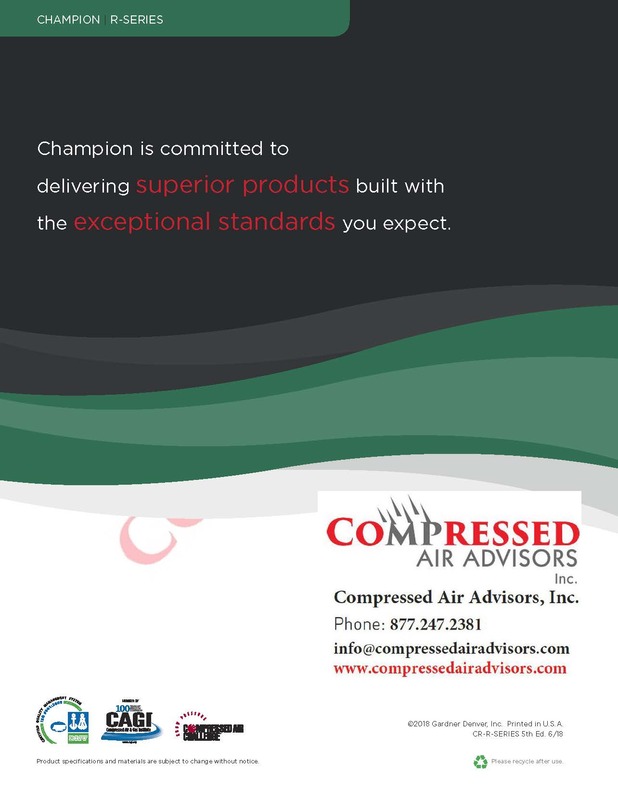 No matter the application, Champion gets the job done. 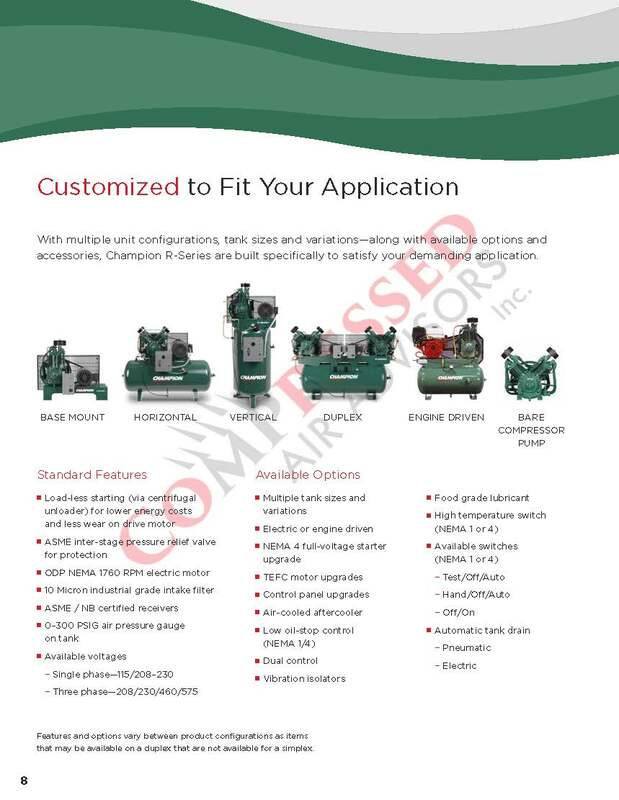 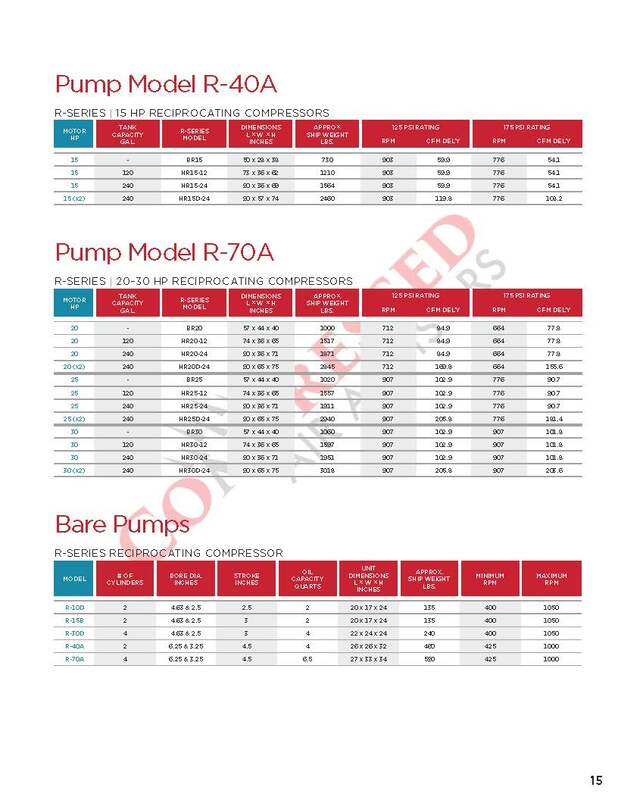 The Solution to Your Application Champion R-Series Compressors have a time-tested, proven design. 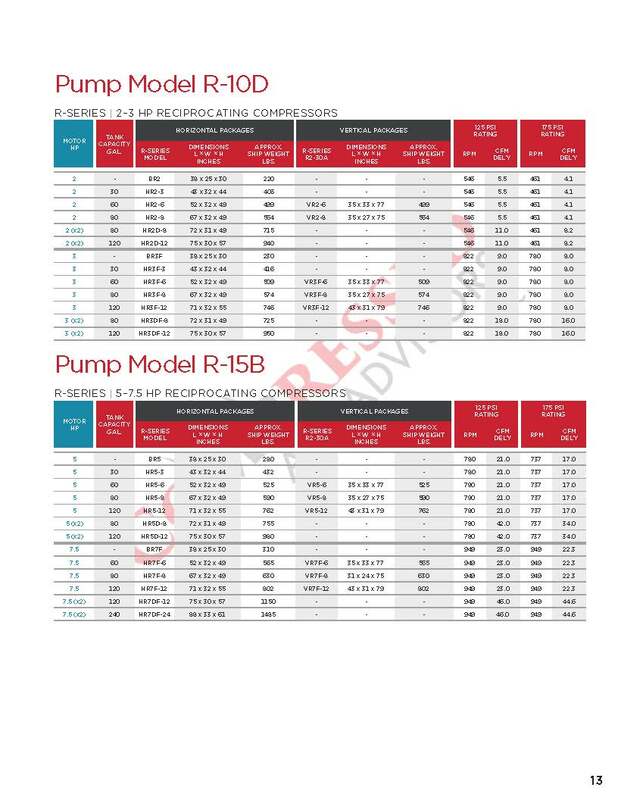 Rugged standard features, a wide selection of configurations, and premium quality available options make the R-Series compressors the solution to your application. 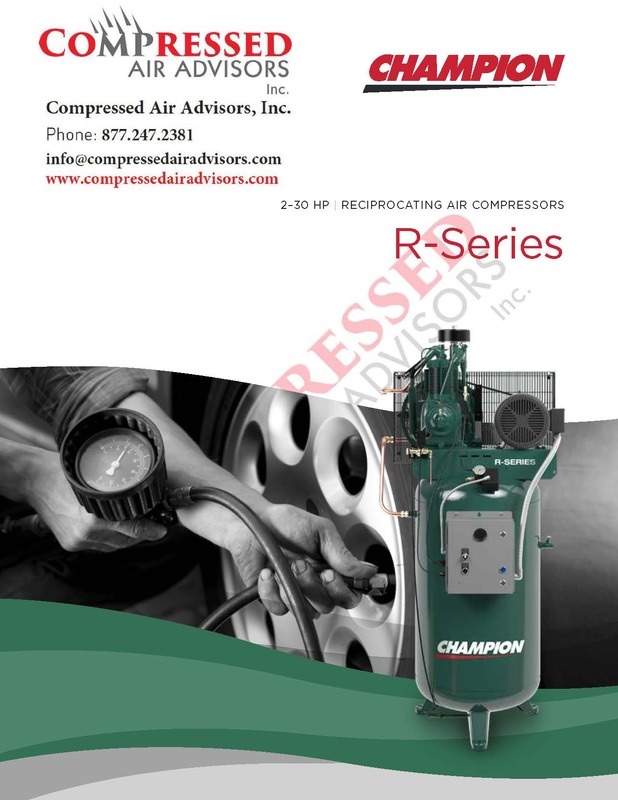 Delivering high performance, long life and tremendous value— Champion compressors are the proven choice! 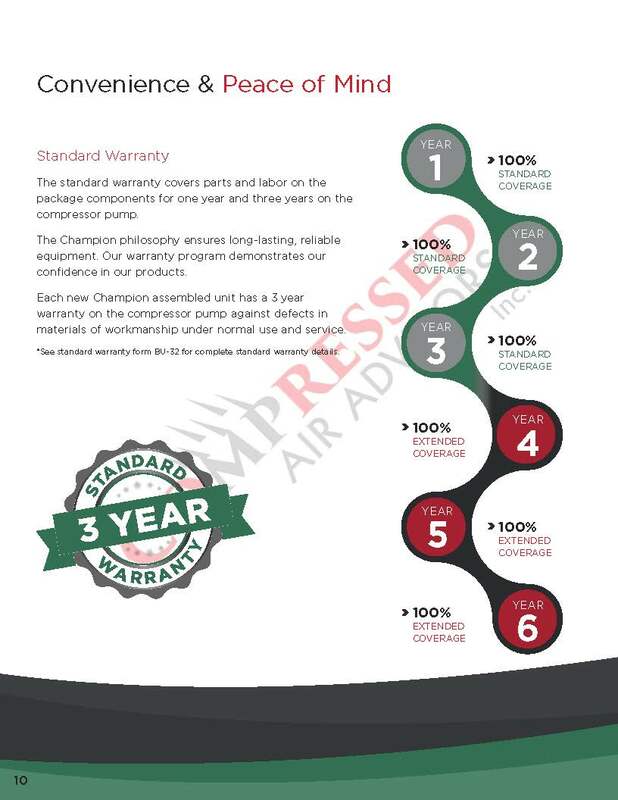 Purchase a Premium Warranty Kit at the same time as your new Champion compressor package to receive extended warranty protection. 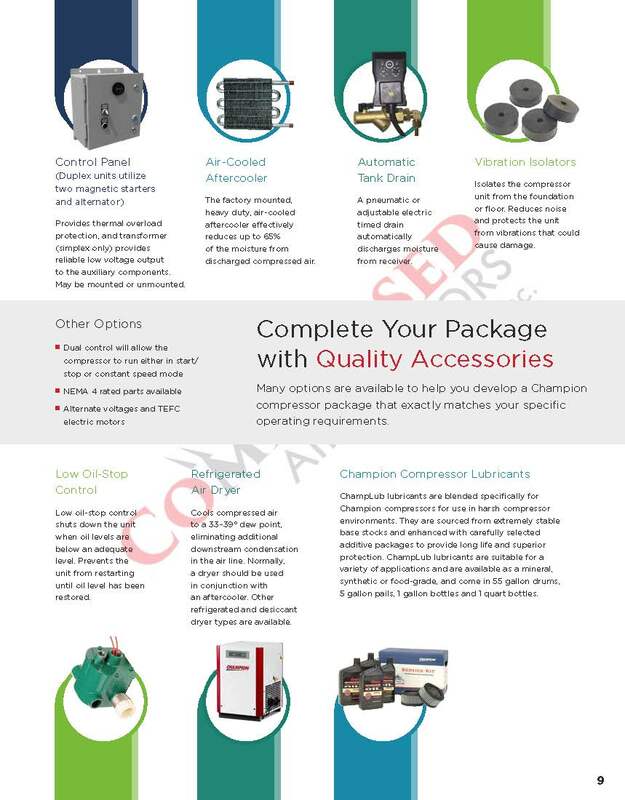 This offer will double the coverage with an additional 3 years of warranty on the compressor pump (parts & labor) providing 6 YEARS of worry free coverage. 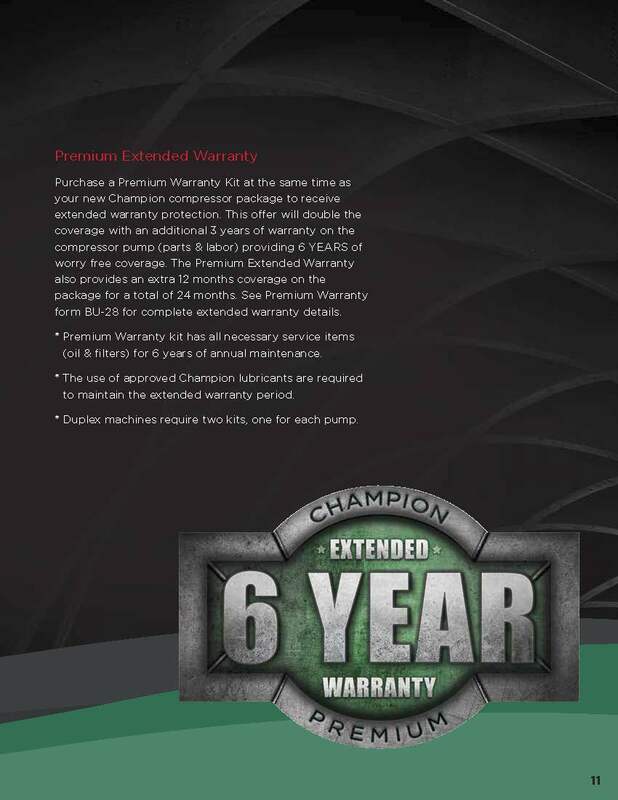 The Premium Extended Warranty also provides an extra 12 months coverage on the package for a total of 24 months. 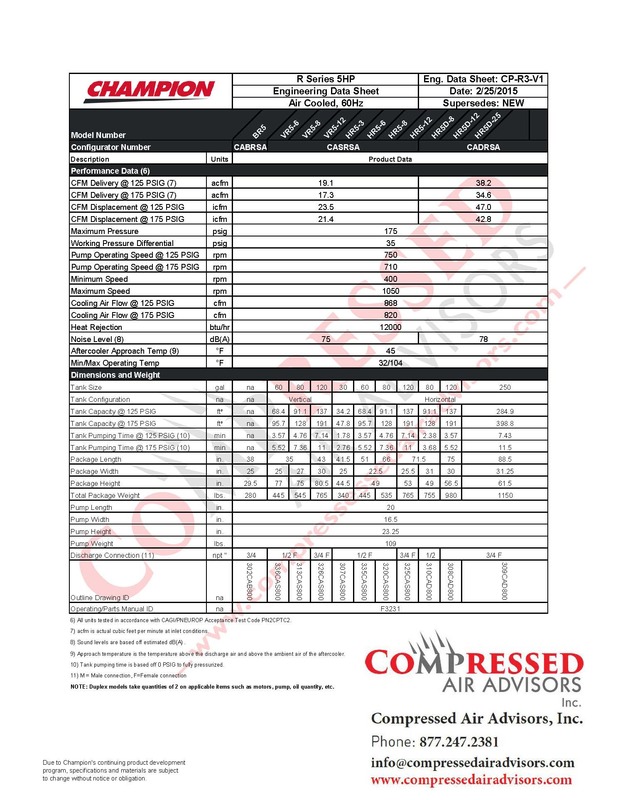 See Premium Warranty form BU-28 for complete extended warranty details. 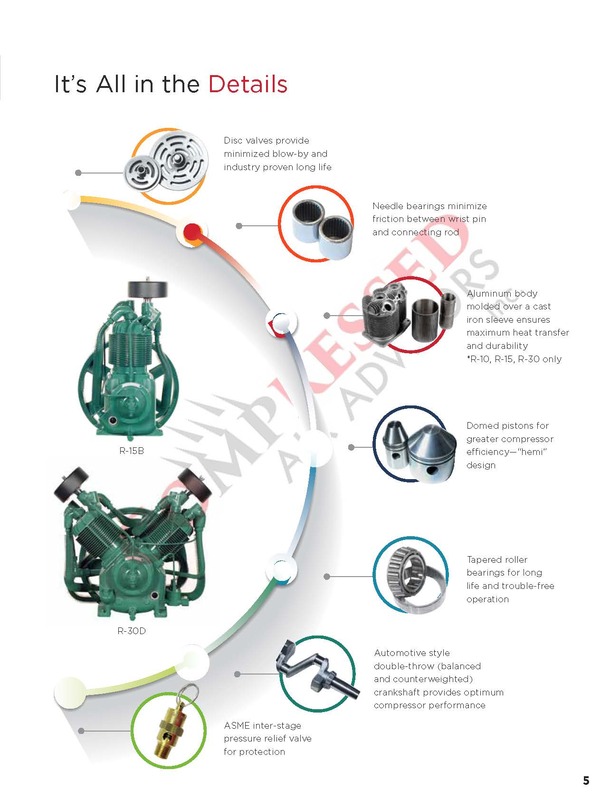 Premium Warranty kit has all necessary service items (oil & ﬁlters) for 6 years of annual maintenance. 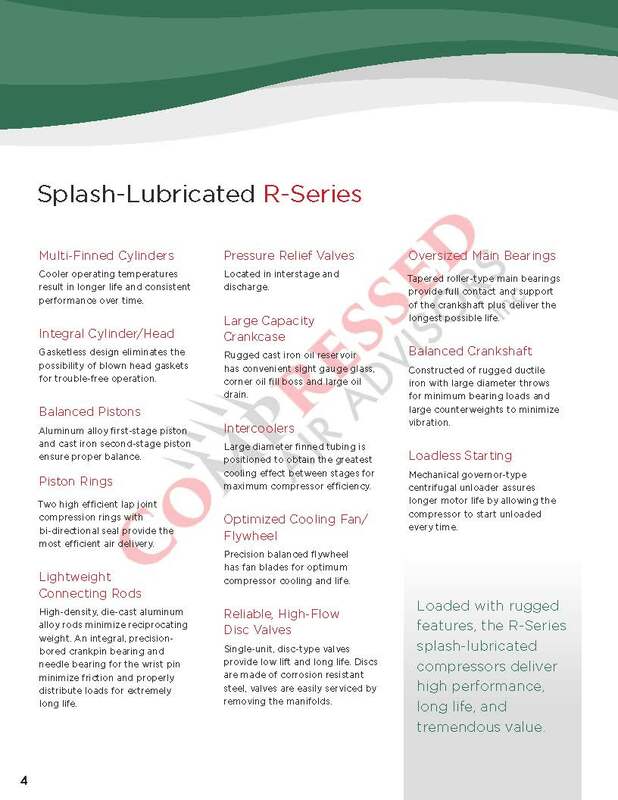 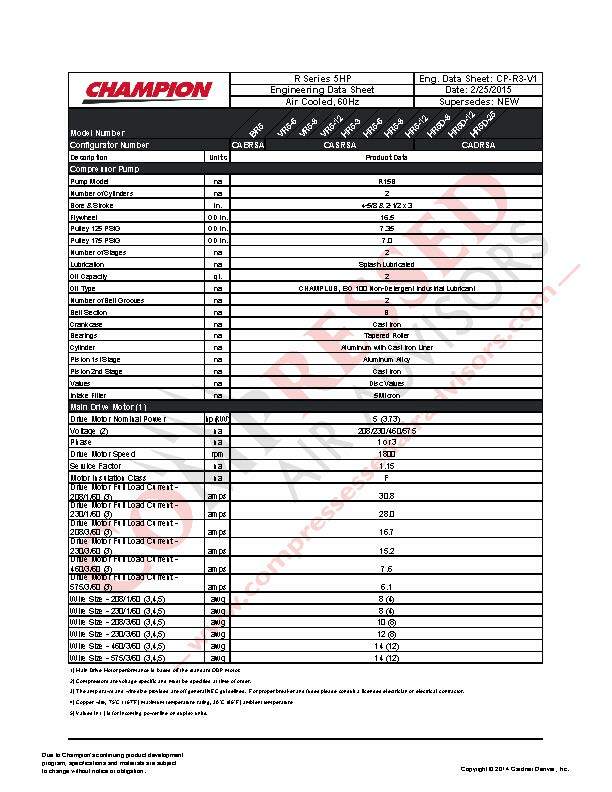 The use of approved Champion lubricants are required to maintain the extended warranty period. 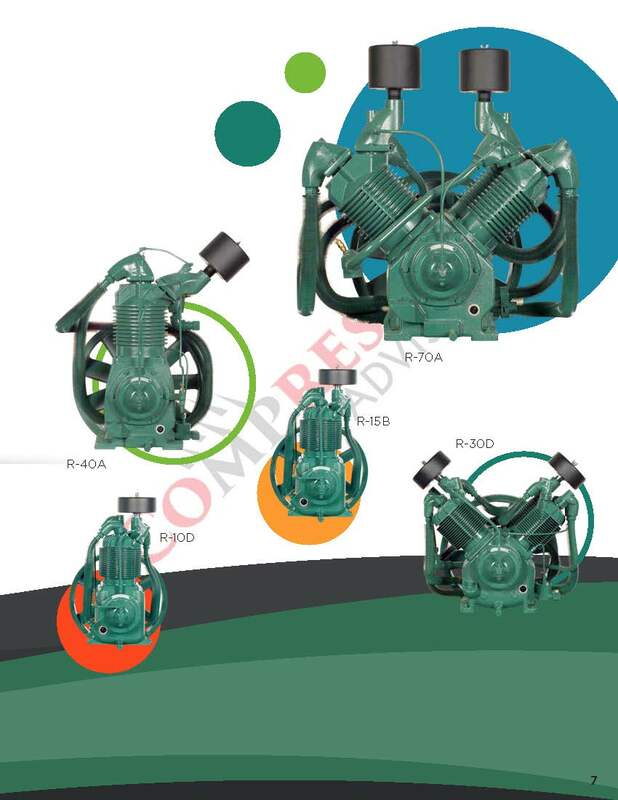 Duplex machines require two kits, one for each pump.